The service, in partnership with the Cape Cod Regional Transit Authority, connects the greater Boston region with Cape Cod, its beaches and other summer activities. The first train of the 2017 season departs South Station May 26 at 5:50 p.m. This is the fifth year for the CapeFLYER service. 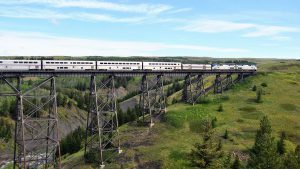 The agencies are also promoting the train as a summer link to Boston for Cape Cod residents. 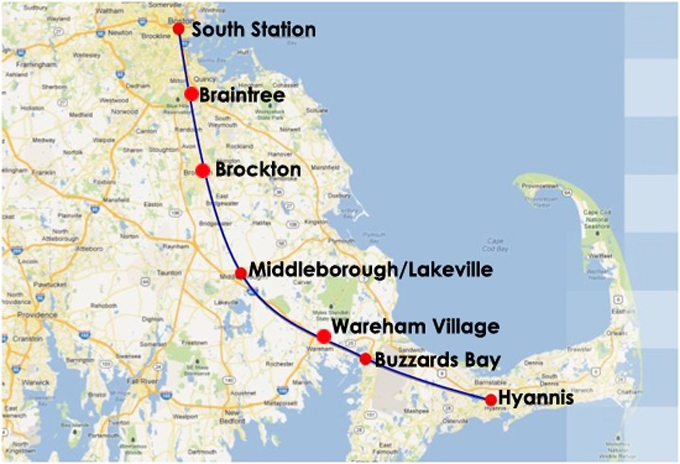 The CapeFLYER originates at Boston’s South Station and stops in Braintree, Brockton, Middleboro, Wareham and Buzzards Bay, ending in Hyannis. A round-trip ticket from South Station to Hyannis is $40, and children 11 and under with a fare-paying adult ride free. Amenities include a café car selling food, beverages, beer and wine. As in the past, the CapeFLYER is free to active duty service members or veterans on May 28 through a partnership with Cape Code Cares for the Troops.